Tuscaloosa Charter Service owner Cliff Dorsey received the keys to the first MCI J3500 in a delivery celebration with MCI. 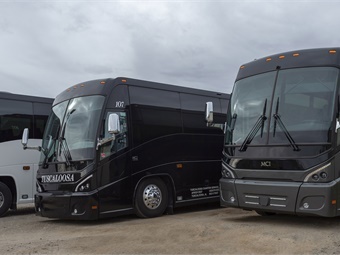 Full MCI J3500 production begins in January of 2019 with coaches becoming ready for delivery in February. 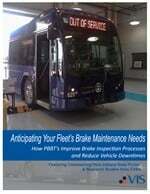 The smaller MCI J-Series coach offers big advantages. It begins with industry-leading interior space, seating for 40 or 44 passengers and the best-in-class payload capacity. A semi-monocoque construction equal to the J4500 also means longer vehicle life and the MCI suspension makes for a quieter, smoother ride over the life of the coach. The J3500 also comes equipped with an e-Fan system and a smaller, yet powerful 2017 EPA Cummins L9 at 350 hp, 1150 lb.-ft torque w/engine brake and a Gen V Allison B500, six-speed automatic transmission with prognostics capability. Tuscaloosa Charter Service employs 17, and specializes in group trips across Alabama and throughout the U.S. with a fleet of 12 coaches including the D-Series, J4500 models coaches.